This REVOL soufflés dish 5.75oz is black all the way through. 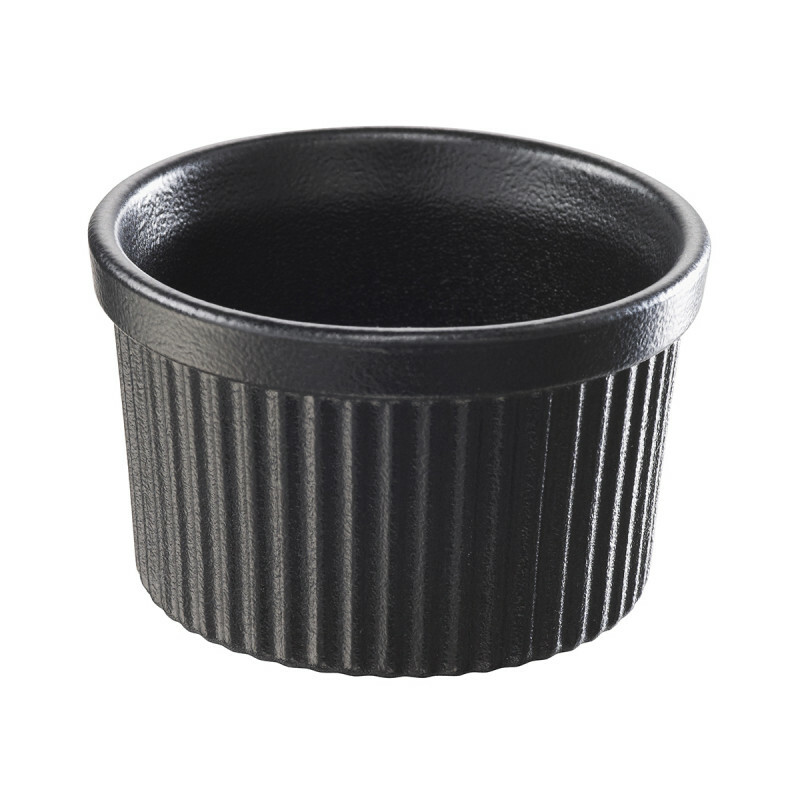 It makes the impression it is cast iron when it is actually porcelain. 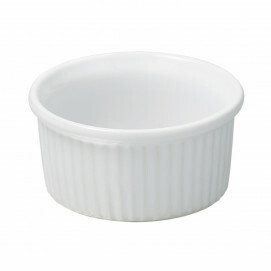 The souffles dishes are oven and microwave safe. They can also be used in the dishwasher. REVOL has been making porcelain for more than 2 centuries now and soufflés dishes are probably among the products that have been produced from the beginning! 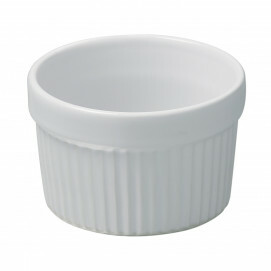 If you prefer a more contemporary look, you may also like the Set of 2 ramekins soft cream or sesam grey Les naturels.